This one won't last long! 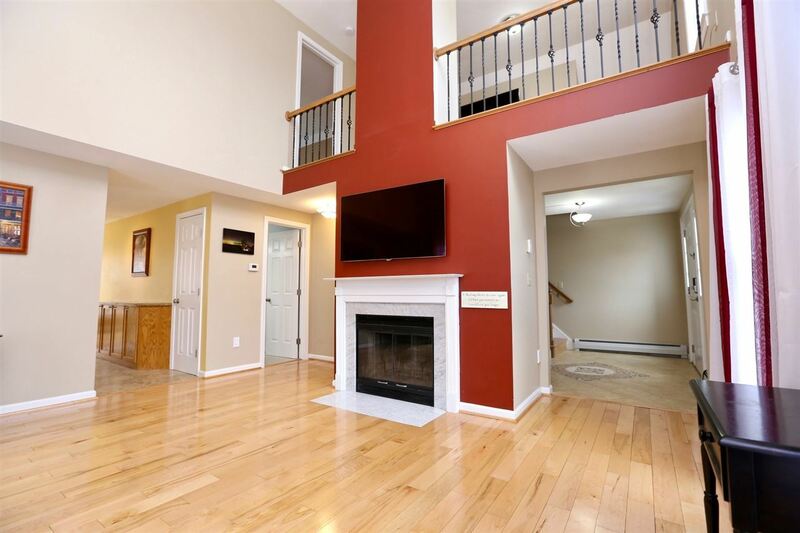 This three level 2200 square foot 2.5 bath home has all the updates and more from beautiful hardwood floors, custom designed tile entry, and granite counter tops throughout. Everything has been updated from the stainless steel appliances, the central AC, to the steam shower in the master bath. It is currently set up as a two bedroom but can easily be made into a three bedroom. The living room has a gorgeous cathedral ceiling with a spectacular chandelier and a wood burning fireplace. The bottom level currently has a home theater room complete with Bose sound system and seating that actually comes with the home. This unit also has a full walk up attic and a garage with storage space above. The outside has a beautifully landscaped front yard with rose bushes, lilacs, and a hydrangea. Off the dining room is a large spacious deck in the back with a lovely Japanese maple tree. This unit is one of of only two units that does not have anything across the street but a lovely view. It also comes with a private parking space within feet of the front door.